Ed Sheeran's phenomenal success depended on hard work, a few lucky breaks, and the talents of long‑term co‑writer and producer Jake Gosling. 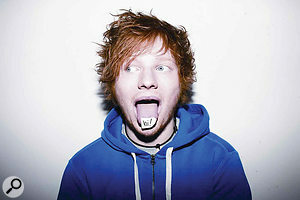 Few artists in recent times have experienced the kind of vertigo‑inducing rise that Ed Sheeran has enjoyed. 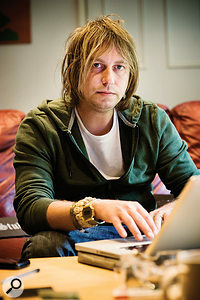 When, in September 2011, his debut album, the symbolically titled +, entered the album chart at number one, enjoying first week sales of over 100,000 before quickly going platinum, it seemed as if the 20‑year‑old singer‑songwriter had appeared from nowhere. 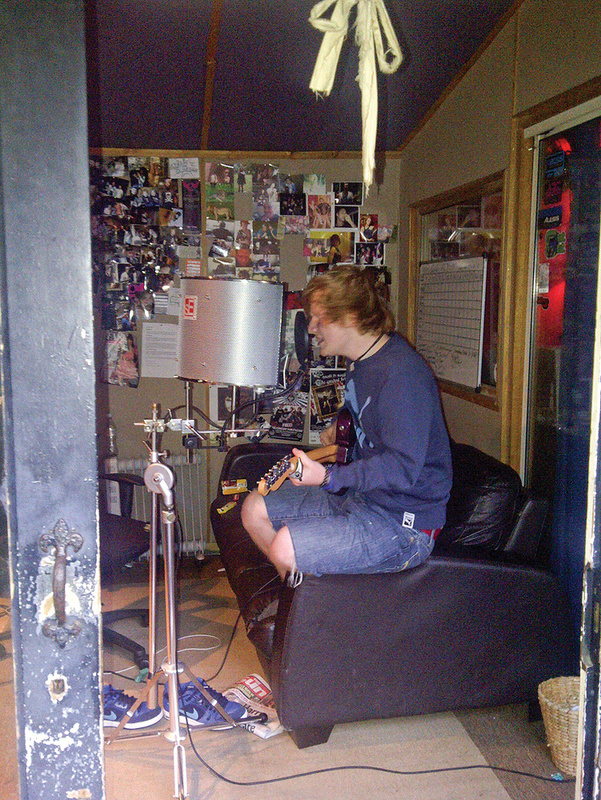 But Sheeran's back story is actually one of an impressive level of dedication and dogged determination. As a teenager, inspired by Irish singer Damien Rice, he picked up a guitar and began writing songs while still at school in Framlingham, in Suffolk. As soon as he left, he hit the road, appearing at open mic nights around the country and hawking CDs out of his rucksack. In 2009 alone, as the legend now goes, he performed a staggering 312 gigs. En route, he showed real bravery in stepping on a plane to Los Angeles at the age of 19, to perform solo in low‑life bars, before by chance encountering his sometime mentor, actor/musician Jamie Foxx, who took him in and recorded him at his home studio, with Sheeran kipping on the Hollywood star's sofa. 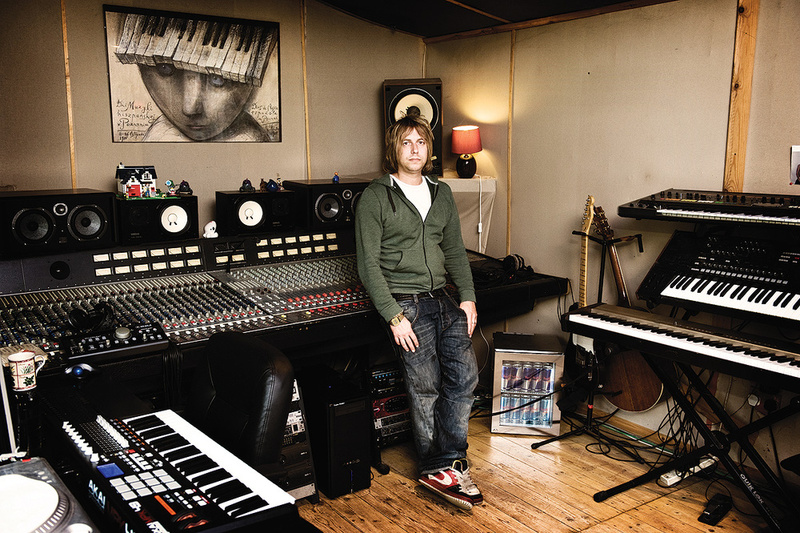 Previously, Gosling was renowned for his work in UK urban music, producing rappers Wiley, Kano and Wretch 32, while remixing tracks for the likes of Lady Gaga and Timbaland. 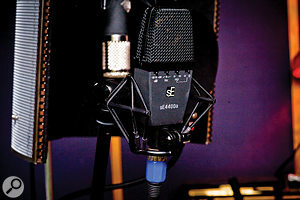 He first met Sheeran four years ago, when their shared publisher dispatched the prodigious 16‑year‑old to Sticky Studios for a writing session. 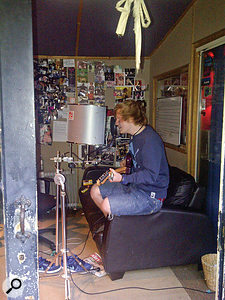 Before + came out, Ed Sheeran released a series of EPs between 2009 and 2011, all recorded with Jake Gosling at Sticky Studios. 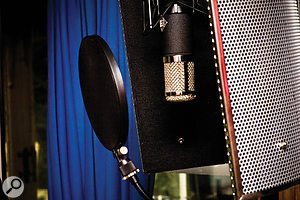 Soon after starting to work together, the pair settled on a loose arrangement where the singer would give the studio owner £1000 to cover an EP's recording costs, which he would quickly recoup, before turning a modest profit selling them at gigs and through iTunes. 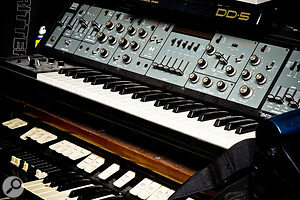 Sticky Studios is based around an old DDA console, and Jake Gosling's preferred monitors are JBLs of even older vintage. 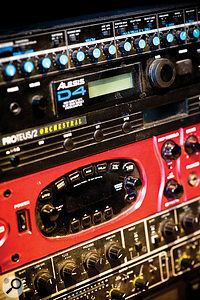 Gosling uses very few outboard effects apart from a Line 6 Pod XT for guitar sounds. 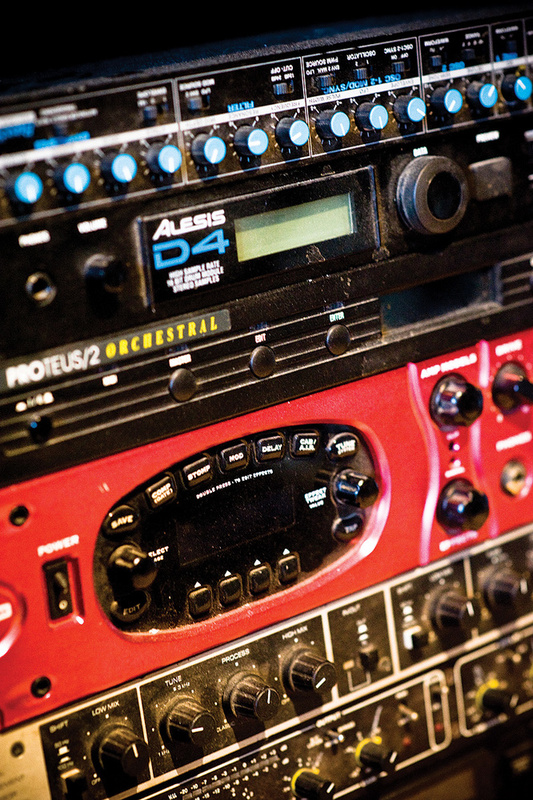 For the most part, Jake Gosling uses only software effects and processors, but relies on his Line 6 Pod for many guitar sounds. "I use it for keyboards as well,” he points out. 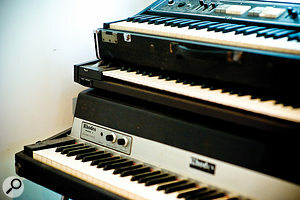 "But if I use the Rhodes, I'll mush it up through a VST plug‑in amp.” Otherwise, the producer insists, he stays in the box, effects‑wise. 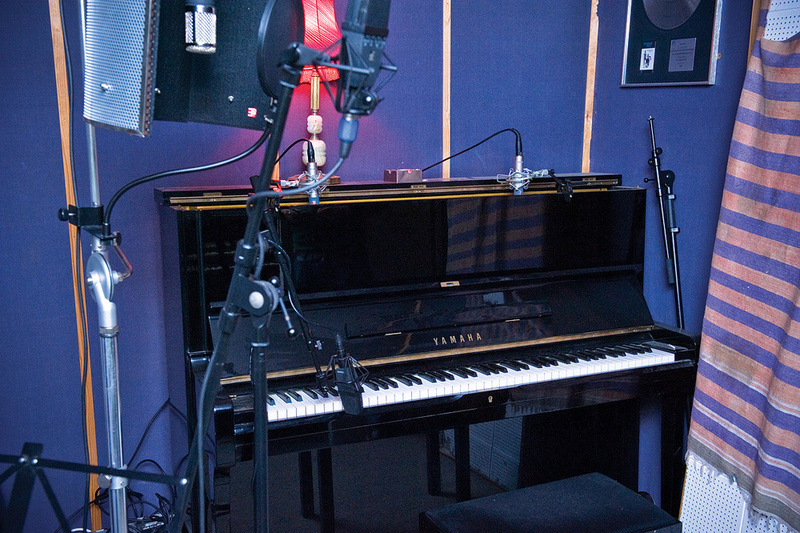 At the beginning of each session, if Sheeran and Gosling are starting work on a track from scratch, the latter will encourage the former to chat about his everyday life, hoping to mine his personal experiences and emotions for a song idea. 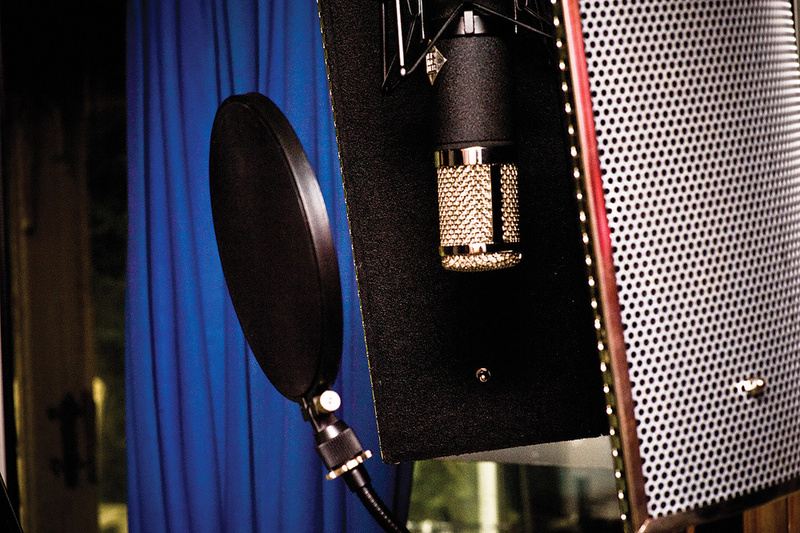 "As a producer and songwriter, it's my job to be almost like a psychiatrist,” he laughs. "Tell me your problems, Ed, what's going on with your life? The beginning of that process will come from stories and things that are going on, mainly in his life. 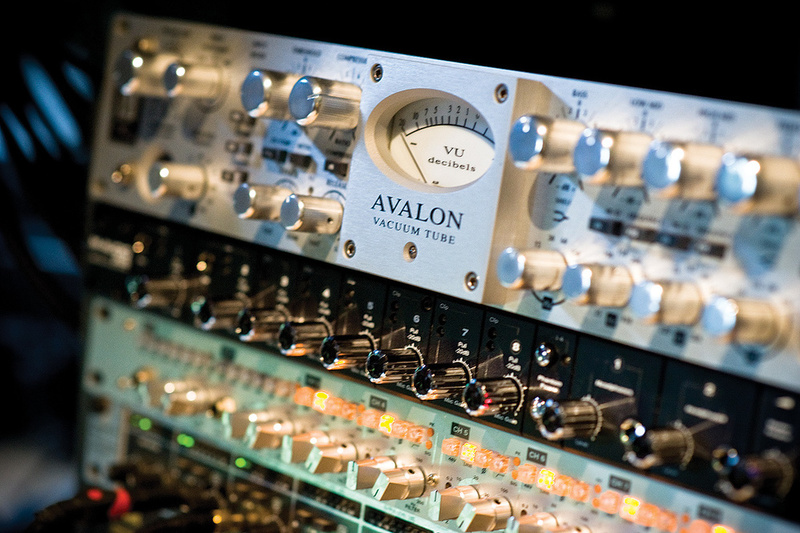 The relatively small amount of outboard at Sticky Studios includes this Avalon voice channel, M‑Audio Profire 2626 interface and Audient ASP008 eight‑channel preamp. "Then we probably attack it in quite an old‑fashioned way. We're not really thinking about how we can sit down and write a hit song. We don't necessarily go, 'How long is it going to take for us to get to the chorus?' I mean, I wrote something new with Ed the other day. He was writing this middle eight section and he began at the end and started writing backwards, lyric and melody. I was like, 'Wow, I've never worked with anyone who's written backwards like this.' And it made complete sense. It was just incredible. 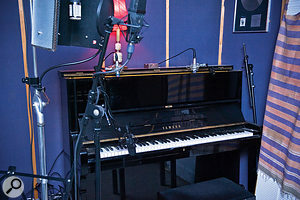 Located deep in rural Surrey, Sticky Studios is valued by busy artists as a retreat from the world.Nevertheless, the tracks on + are characteristically sparse, a feature which Gosling insists was intentional. "Yeah, definitely. I think the power really comes from the words and the sonics that are there. I wanted to make sure that they were right, rather than filling up and overcomplicating the tracks. We wanted it to be quite stripped‑back and to give it a lot of space. I think a lot of music tends to be overfilled these days. People shove everything in it. What we were aiming to do was let the songs breathe. Ed Sheeran's success might have seemed an overnight phenomenon, but was built on much hard work. You can't keep Ed Sheeran from a good sofa... The real bugbear of the album's sessions, however, was 'You Need Me, I Don't Need You', Sheeran's beat‑driven one‑fingered salute to the music business. "We did, like, 20 versions of that,” Gosling admits. "It was pencilled in for a single and there's always that thing of trying to meet in the middle with the commercial aspect of what music's about and the artistic aspect. 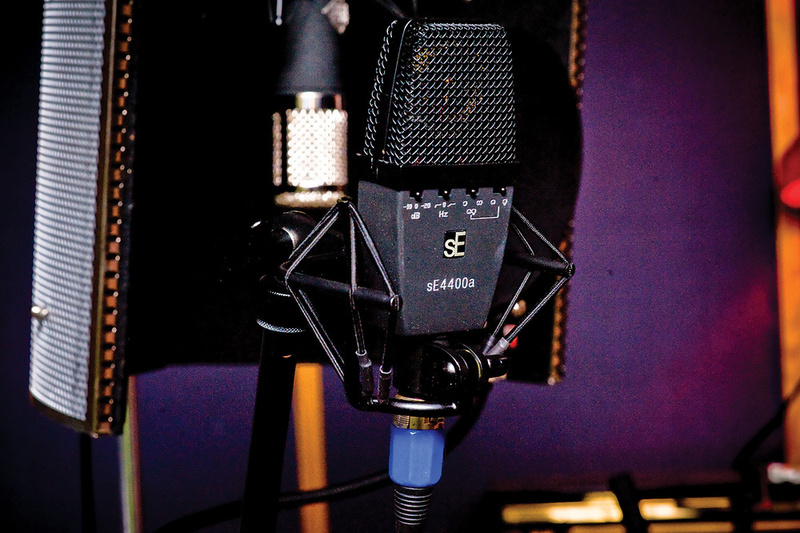 The problem we had was that the first recording that was done was a live SB.TV thing and the energy and atmosphere of that track was what we wanted to capture. But, of course, with the magic of music and the way it goes, you can't always capture that again. So we really struggled.